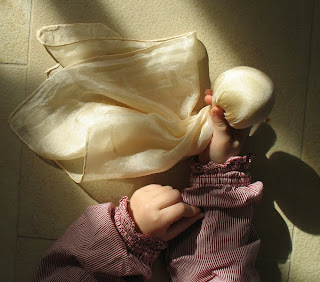 The Silk Snuggle Doll is probably the most simple but yet one of the most enhanching dolls I know. 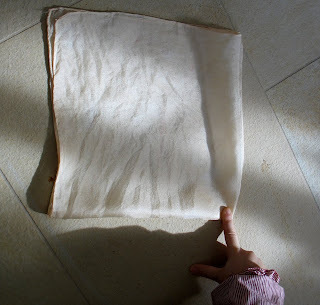 It can be made for or together with a baby or a small child coming alive though nurturing gestures stimulating creativity by drawing on the child’s imagination. 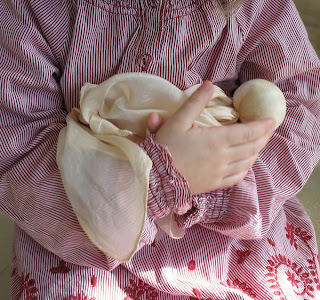 This kind of Cloth Dolls has also been used since generation to calm and comfort young babies. 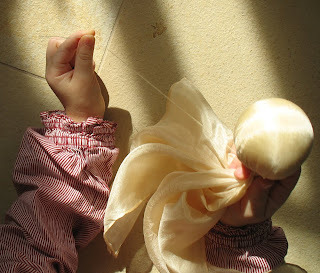 If a Mama keeps this doll with her a little while the silk is absorbing familiar fragrances and comforting a baby wherever it is. 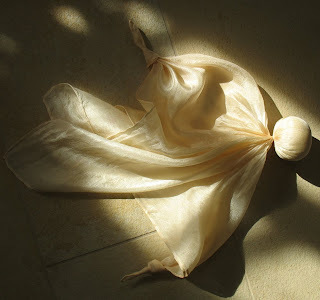 - One piece of pure silk with rolled hem. 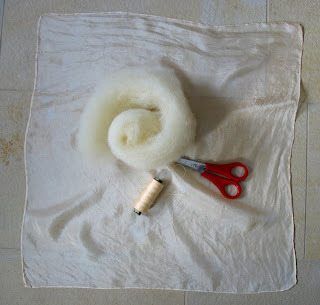 Xiling offers beautiful, organic, high quality silk in her online Shop incl. worldwide shipping. Roll a little wool ball for the dolls head. 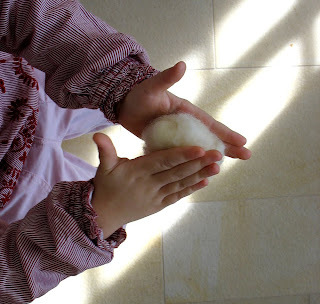 Put the wool ball between Your palms and give it a round shape. 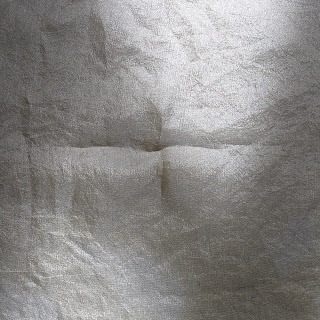 Fold the Silk to find the center. 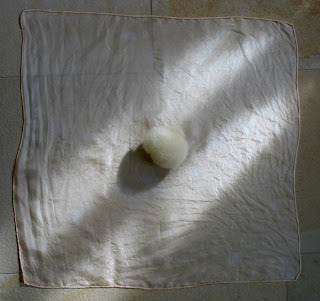 Put the wool ball onto the silks center. 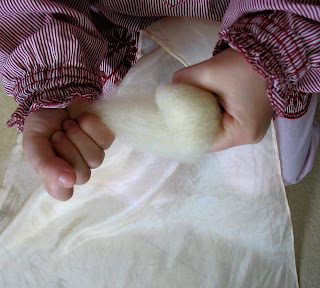 and use the cotton thread to tie the silk together. 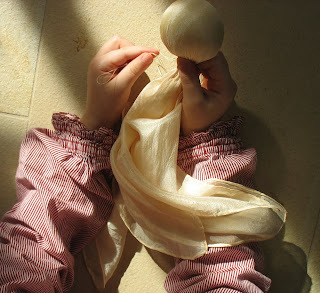 You can use a needle and a thread and make a few stitches if You want to ensure the thread in its position and knot two hands.